out how to find apartment building owners list. listings, foreclosures, pre-foreclosures, divorce, probates, etc. apartment building owners lists too, ok? building owners. Of course, it takes some time. Plus, it is still worthwhile and preferred that you find apartment building owners that may be motivated. a list company. There are companies like ListSource.com, REISource.come and others. 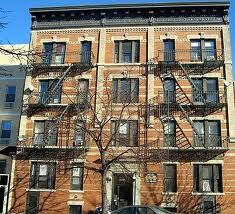 plug in the details of the types of apartment buildings you are looking for and voila! apartment building owners that are MOTIVATED? had left some pretty awesome ideas in the comments section. Now, you have quite a few ways, a lot of which are no cost to you, to find apartment building owners. Do you have any certain way that you use to find apartment building owners? I (we all) would love to hear about it……. Thanks so much! Glad you enjoyed! Thanks for stopping by! Oh boy. I’d go to the tax office for your county and ask them. They generally know who owns buildings and where they are because they want their money.